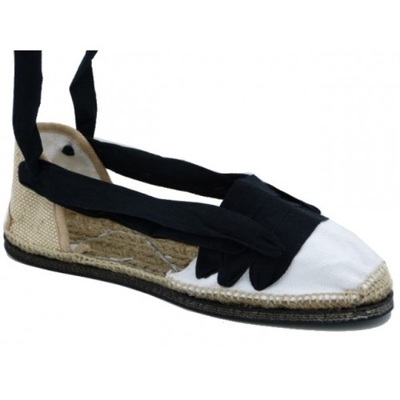 Make-up your look this Summer with these authentic Catalana espadrilles, a perfect blend of contemporary fashion and ethnic charm. ​These handstitched traditional espadrilles are a real classic of the beautiful region of Catalonia, on the east coast of Spain. 'Pagès' means farmer in Catalán language as these were traditionally used by the farmers. 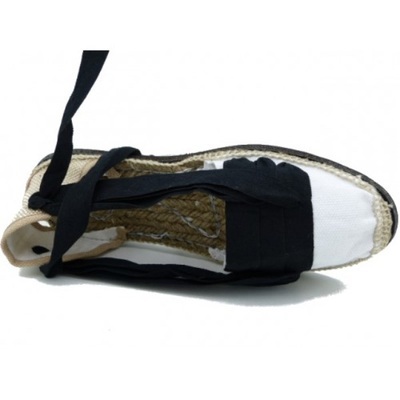 The soles made of braided jute rope are covered with recycled tires which improves adhesion and impermeability. 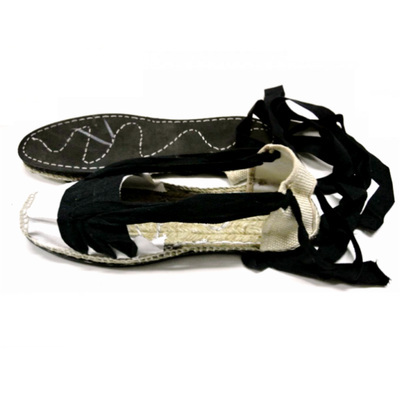 The fabric and the black laces are stitched and assembled by hand by the artisans in the village working in their homes, without any factory.